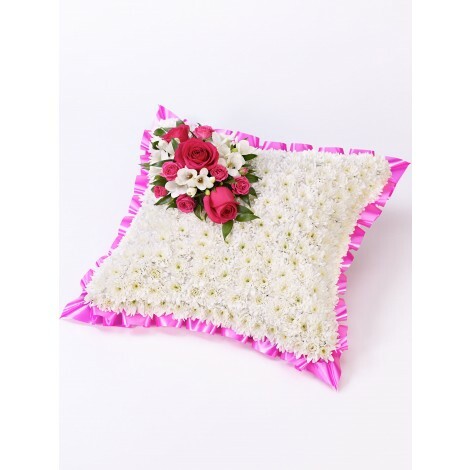 This classic white cushion is one of feminine elegance and charm. 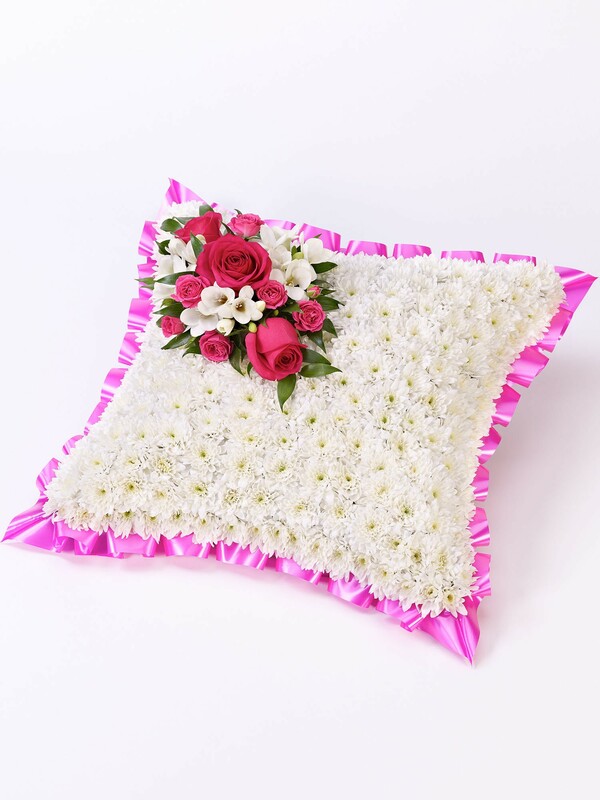 Crafted from only the freshest of flowers the pristine perfection of the white flowers contrasts perfectly with the hot pink trim. 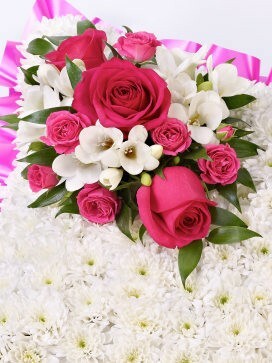 This stunning selection features; white double spray chrysanthemums and finished with a spray of cerise roses and white freesias and a pink ribbon trim.